While this format has become common place, it may not fit into every situation. 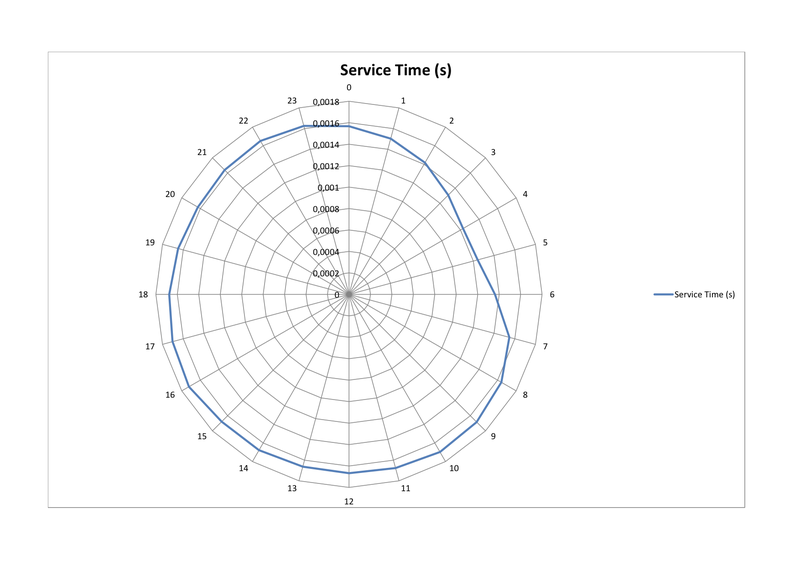 One format that I really like to use when I need to display time series data is radial plots, particularly when you want to check for certain patterns or when you need some kind of scale transformation to be able to compare series of a different magnitude (eg. CPU usage versus Hits/s). Besides that, the resemblance to a wall clock provides an intuitive idea of continuity. 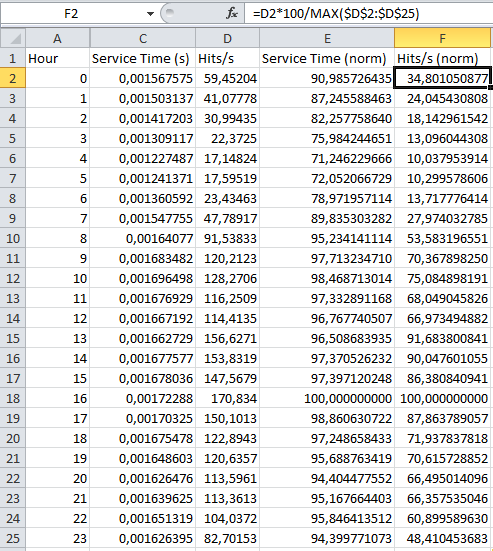 Keep in mind that before using the script you need to modify your Apache log files as explained in this previous post. By default R can’t do radial plots but you can use plotrix.I’ll keep things simple and use Excel instead of R in this example. 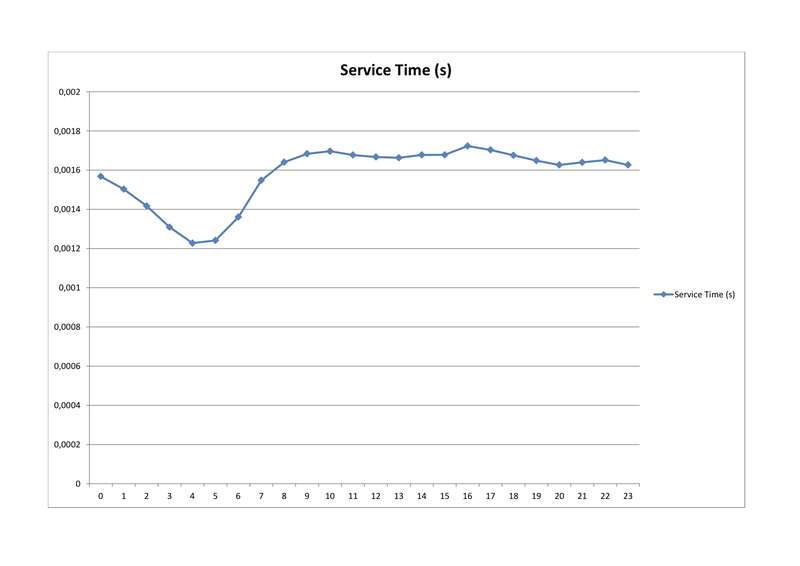 I’ll leave the analisys and interpretation of the data to the reader, although you can see a very interesting pattern as the service time slightly decreases over the night. 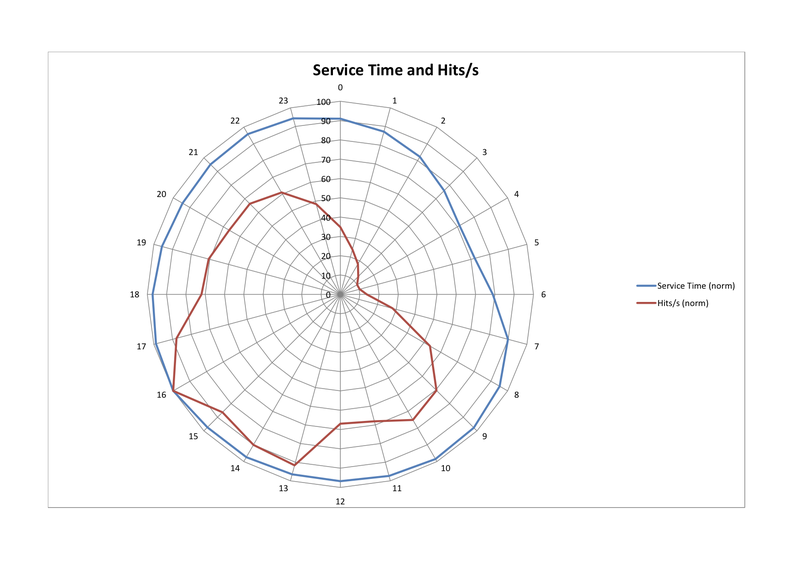 Now in order to see if there’s a correlation between the service time and the number of hits per second, I’ll perform a normalization between thse two values and plot another radial chart using the transformed data. 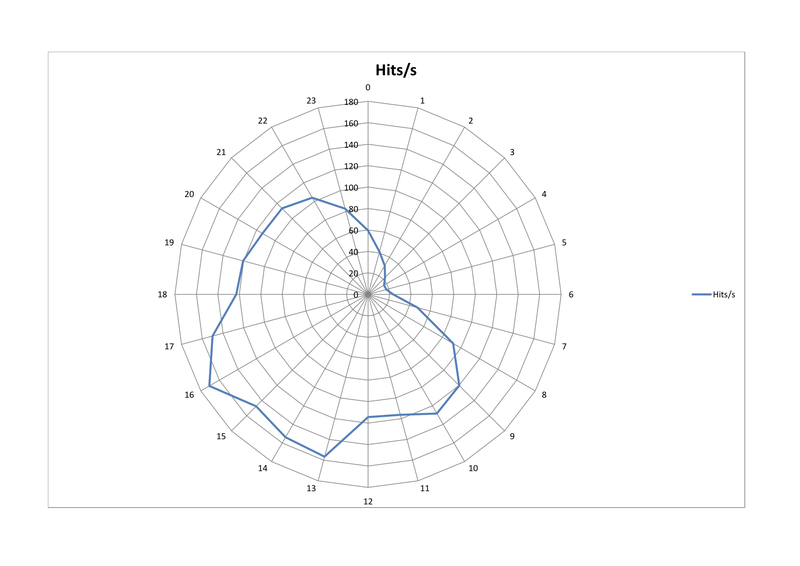 Radial plots can be useful to display time series data, particularly when the behavior of your system tends to be cyclic. The resemblance to a wall clock makes it easy for one visualize the activity during different times of the day.